RC Radio: Justice Glade, additional comments. Welcome to the training grounds of the Magical Dragon! Justice Glade is large and you could wind up anywhere on the grounds. It includes the “Council Chambers of Truth”, the “Pond of Restoration”, the “Fire Ring of Avalon”, the “Orbs of Light and Dark,” to name a few things you can come across. A Magical Dragon is a being, physical or nonphysical, earthly, angelic, or off worldly that has gone through the rigorous training to uphold the integrity of realities. A Dragon is given great magical powers to help restore balance and to protect the weak from unbalanced situations, entities, and energy. 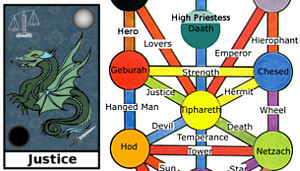 Archangel Michael is a Dragon, perhaps one of the first ones. Here, at Justice Glade you can meet with these beings, some of them in training. Justice Glade is located between Geburah and Tiphareth. The energy of Geburah provides great strength and the energy of Tiphareth great knowledge. Both of which are needed to wield the energy of justice properly. The council chamber is the main meeting place for Magical Dragons. The council chamber itself has many uses. It’s main use is for finding out if something in your life is out of balance or needs some kind of equalization. The orbs of light and dark are here and you can touch these to see the two sides, the good and the evil, the balance and unbalanced parts of some situation going on in your life. If you are to become a Dragon one day you may receive the “Sword of Truth” or the “Lightsaber of Truth” (for the modern dragons) as a gift. But not everyone is cut out for the rigorous path of being a Dragon, so do not feel short changed if these items are not there for you. If not today then perhaps they may show up in the future if you decide to walk the path of a Dragon. The “Pond of Restoration” is outside the council chamber and is a place where you can wash yourself clean of dark energy and restore balance to your energy field. 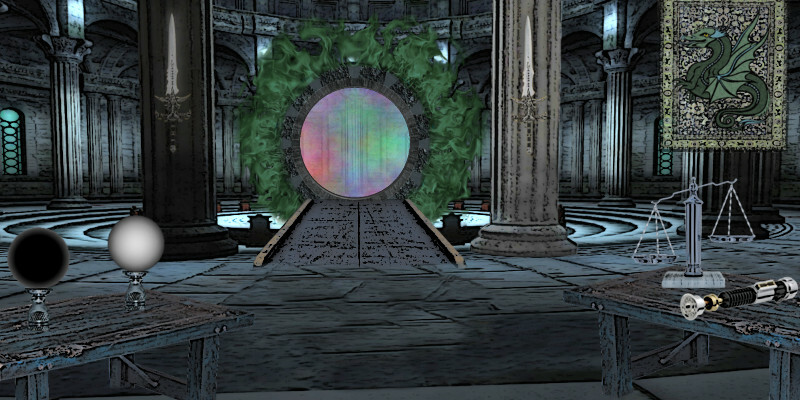 The “Fire Ring of Avalon” can be seen inside the council chamber or in the glade. It can begin a test of courage, strength, and jusice if you dare to jump through it. Be warned however! Jumping through the ring may create some physical challenge that you may need to face or wish to resolve. This challenge may not be confined to a nonphysical experience. You can meet many different Dragon Guides here. Archangel Michael is one of them. Joan of Ark is another possible guide you can meet. The one-time permanent gift here is the “Potion of Truth.” You drink this and it becomes part of your energy field, temporarily raising it to an all-seeing vibration. It helps you to detect and uncover deception and lies. After receiving this gift, it will remain with you in your nonphysical tool kit. Anytime you think you need to uncover some truth, just take a drink from it. 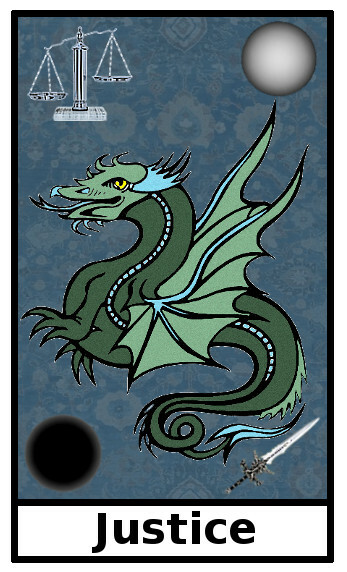 If you are a Dragon or a Dragon in training you may get the “Sword of Truth” a much more powerful version of the potion, that can cause people to just confess before you. Visit this place when you want to understand justice or seek justice in some situation. The energies here can bring a resolution to some issue in your life that needs balance. Just keep in mind that what you feel is just is not what spirit may feel is just. Consult the orbs if you are not sure, before you use the ring of fire. Gifts and other things to do! Letter Opener: use this tool to open up more information about something in your life.